Alice Driver recently wrote why news organizations need more bilingual journalists and to translate their stories into multiple languages. Translating work can help stories reach the audiences that will benefit from the information, deepen impact, and expand opportunities for collaboration with other organizations. We’ve compiled a bunch of examples below to be inspired by in addition to Driver’s great piece. For example, ProPublica has had over a dozen investigations translated in Spanish, and worked with Spanish-language organizations such as Univision. The Washington Post has launched a new Arabic-language Global Opinions page. In public radio, stations are experimenting with adding Spanish-language content to their websites and podcasts. Students are learning in bilingual student newsrooms at Borderzine and Cronkite News, and getting degrees in Spanish-Language Journalism from the Craig Newmark Graduate School of Journalism. Stories aren’t the only thing that should be translated. Resources for journalists should be translated, too. The Center for Cooperative Media recently launched their collaborative journalism database in multiple languages so that more organizations and people could learn from it. Have you done any work in multiple languages? 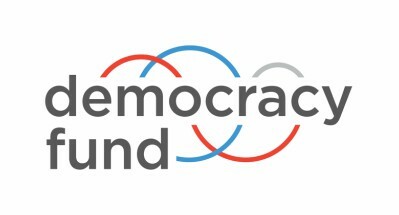 Send us examples to localnewslab@democracyfund.org. In a major package of interviews and reporting posted this week, Poynter asks “Did we just experience the hardest decade in journalism?” Over the course of 15 interviews with different journalists from across the industry Poynter explores what has changed, and what hasn’t in the last ten years, since the financial collapse and recession. The piece is timely, as people begin predicting the coming of a new recession and asking what impact that will have on publishers. Over at Medium, Aaron Gell wrote a poignant piece about the impact of the last recession titled, “Ten Years Ago, Almost Everyone in Media Got Fired.” Simon Owens responded with a more hopeful take. He doesn’t believe the next recession will be a bloodbath for publishers, largely because of more diversified revenue streams. Membership is one of the key parts of that diversified revenue mix for many publishers, and so we wanted to look back at how membership driven organizations weathered the last recession. In the links below, we also offer some advice for preparing your personal finances for a possible downturn. Do We Know What Local Means? Journalism professor Nikki Usher has been working on a new book “News from Somewhere,” which she describes as “about the relationship between place and audiences and trust in journalism.” She has been posting early drafts of her chapters on Medium and asking for feedback and dialogue. Her most recent chapter looks at the physical displacement between audiences and journalists who increasingly move in different spaces and places through communities. Usher suggests that these changes in proximity have real effects on journalism, engagement, revenue and more. Last month, Amy Schmitz Weiss, who specializes in “spatial journalism” at San Diego State University wrote in her NiemanLab prediction that for many people local — and thus local news — “is fluid and not fixed.” At City Lab, Megan Garber explores shifting notions of how we define community amidst changes in communications and technology. Why does any of this matter? We often talk about serving our communities, and the vital nature of local news, but these pieces remind us not to take those ideas for granted or assume we are all operating from a shared definition. If your newsrooms shifted what it means to be local, or who counted as your community, how would that change the stories you cover and how we build your audience? Whose definitions are you using, and what might you be missing?